I am not a sheep farmer and the closest I have been to looking after sheep is when my neighbour asks for help with orphan lambs that need fed when he is away for the very occasional weekend. I have to say I look forward as does my wife to getting the opportunity to feed the young lambs with bottles of milk, it is a bit messy, yet great fun. Sheep are kept on many Scottish crofts as they are very hardy animals that are capable of living outdoors in the Highlands of Scotland for most, if not all of the year. Usually the only time sheep are kept in a shed is just prior to lambing and within a few hrs of having lambs they are taken out to the field again, it appears to be far healthier for both the mother and new born lambs to be outside. Some farmers allow their sheep to lamb outside and will only bring them inside if there is a medical problem with the mother giving birth, or the lambs are orphaned. Why keep sheep? I am sure many a farmer / crofter has asked this same question and it comes down to a number of factors, one of the reasons being is that sheep will thrive in the often harsh environments found in the Scottish Highlands and Islands. They are also used to produce spring lambs for meat, and sheep can also kept for their fleece. It is unfortunate that there are not more money to be made from sheep fleece even though it is an amazing material that can be used for making wool, as insulation material in buildings, and I have seen it used in packaging (a naturally degradable material not like plastic or polystyrene) as well as other uses. 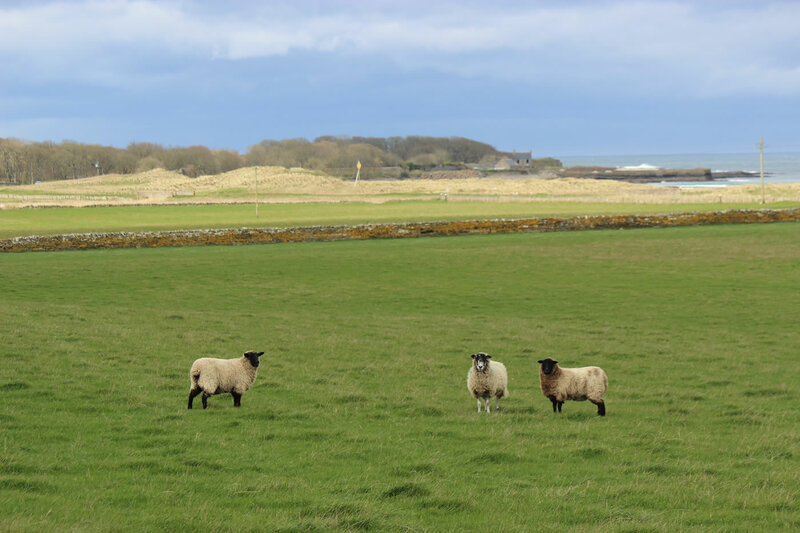 Sheep are also used to keep areas of land under natural grassland management and this can encourage a rich habitat for species of flowers, insects and nesting birds. While I have sympathy with people who feel that we should not be keeping animals for meat, or other animal products, such as wool, I personally would hate to see the countryside devoid of farm animals and many areas of the Highlands would be of little use agriculturally unless farmers raised livestock on the land. So while some people propagate pictures and videos of sheep being badly looked after (truly horrific images) in my experience this is simply not true of majority of farmers and crofters in the Highlands where they care about the health and welfare of their animals. 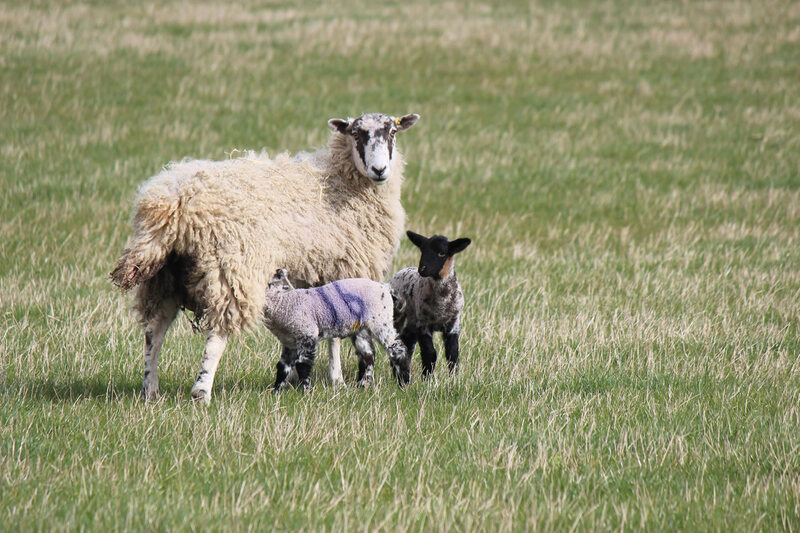 An animal that is well looked after will remain healthier and will be worth more money, so why harm it by shoddy (and illegal) practices when sheep are sheared and left badly bleeding. Shock tactics are not in my opinion the way to encourage good animal welfare, it simply alienates the majority of people. It would be better to encourage higher welfare for all farm animals by being willing to pay a proper rate for locally produced meat, UK wool and other products from farmers and crofters in the Scottish Highlands, and other areas of rural Britain, rather than a race to the bottom for cheap prices from other countries. Lambs looking for a feed. This mum has three lambs to feed. As mentioned I know very little about keeping sheep, yet living surrounded by farms and crofts I have opinions, and some knowledge. You have just bought some land or a croft and you want to get into keeping sheep, how do you go about this? The first thing I would suggest is to buy several books and spend as much time as possible reading and learning from other people’s experience. You can also join a local farm / crofters group and make friends with people who are already in farming and have knowledge of the local area, the environment and what works, and what does not. Normally you will buy farm livestock at a farmers market, through an auction, and if you do not have any experience then it is advisable to ask someone who has experience farming with sheep to go with you to the auction, to help you identify the correct stock to buy. You also need to know the breed you are wanting to raise, how many male sheep and the total number of female sheep you want for breeding. 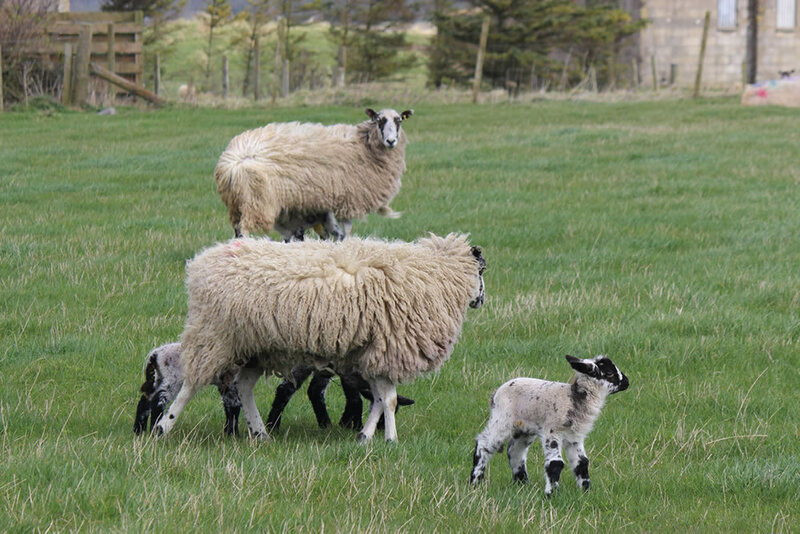 It is probably best to limit your numbers in the first year for you to get experience of the year round process of raising, breeding and selling of the sheep raised, before expanding the numbers (and risk) involved. Lambs and sheep in a field with plenty of grass to feed off, picture taken at end of March 2019. Another factor you must decide before leaving for the auction is what you are willing to pay per animal, your total overall budget, and a list of the breeds you want to purchase. While paying more for good breeding stock may be required, do not get into a bidding war with other people at the auction. Set your price, and stick to it. You do have to be realistic and set a budget to the market in your area, it nearly always pays off in the long run buying stock that other farmers / crofters want and are willing to pay top of the normal price range for, than buying cheaper stock that will not thrive in your area, or bring in good future prices. If sheep are selling cheaply, there is a reason for it. I have seen wonderful, rare breed sheep with lambs being sold at £1 an animal. 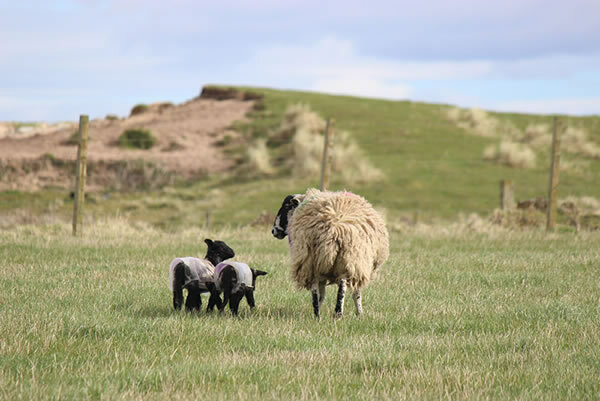 If you only plan to keep sheep for a hobby, to help keep the vegetation on the croft under control and possibly as pets, then stock that is cheap may be ideal for you. If it is because the breed has very little economic value, yet is a rare breed, then you will be helping keep the breed alive and viable. However if it due to the animals having poor quality breeding, are not very healthy and no-one else wants them, it is possibly better to stay away from buying them as you will end up paying a lot more in future (and maybe not that far in the future) with vet bills and other costs. While no ill stock will be offered for sale at an auction, poor quality stock will not be covered by veterinary inspection rules. Orphan Lambs with bottle feeder. Every spring you can see adverts for orphan lambs, that is lambs where either the mum is not able to look after them, for example where three lambs are born yet the mother has only enough milk for 1 or 2 lambs, the third lamb either does not get enough milk and ends up being the runt and may eventually die. In this circumstance the farmer may take away the 3rd lamb and hand raise it, keeping it in a barn, and feeding it using commercially produced dried replacement milk that is made up with water into milk fed to the young lambs by bottle (baby bottles are used). If there are a large number of lambs needing milk then feeding devices are used that can feed 4 - 8 lambs or more at a time. 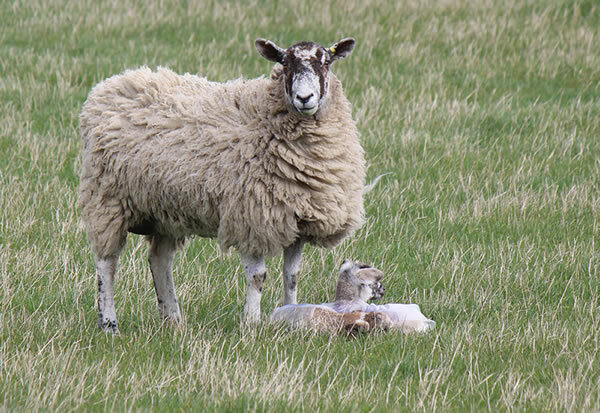 Another reason for a farm having orphan lambs is that the mother dies giving birth or shortly afterwards. It is a sad aspect of farming that not all animals will survive the natural process of giving birth, or they may get ill and die. In this situation the farmer can be left with up to three lambs that need raised by hand. 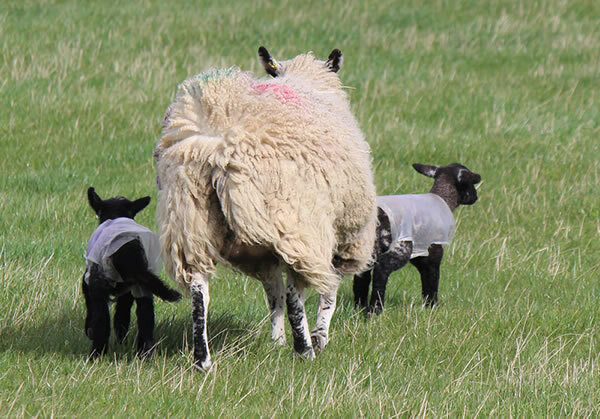 Sometimes a substitute sheep can be used as a mum to raise one or more of the orphan lambs. This is where the sheep has only one lamb of its own and has plenty of milk, or its own lambs have not survived birth. A number of techniques exist to introduce an orphan lamb to a new mother and you will find plenty of information on this on the internet, or by asking a neighbouring farm that has sheep what they do. It is very rewarding helping an orphan lamb to survive and by putting in the time and effort you can do this. It is not cheap to look after orphan lambs as you need to buy commercial substitute milk that is supplied in a dried, powdered form from your local agricultural supplier or by buying online. This milk has additional nutrients that will help the young lambs grow into strong healthy lambs and sheep. Sadly I have seen people get orphan lambs and have 10 or more with nearly all of them dying. This can be heart-breaking and expensive if you have paid out money for the lambs, as well as the cost of replacement milk and the time spent looking after them. 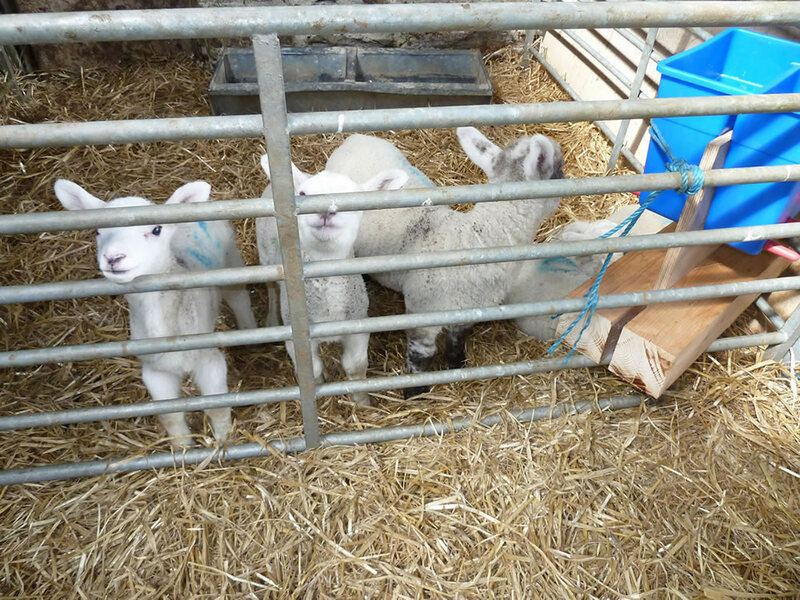 Orphan Lambs in a croft steading with clean straw, water and a milk feeder. Each lamb was given a bottle twice a day to ensure they were getting enough milk. Why do orphan lambs die? 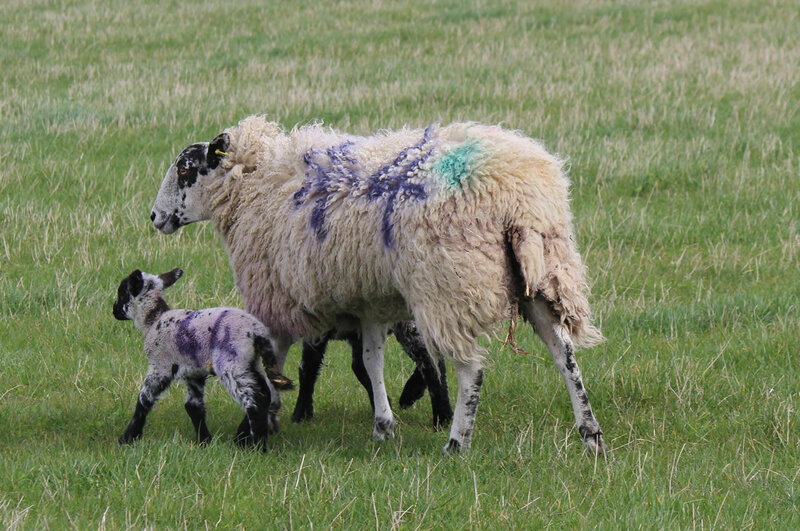 A whole range of reasons exist for lambs dying, especially orphan lambs. 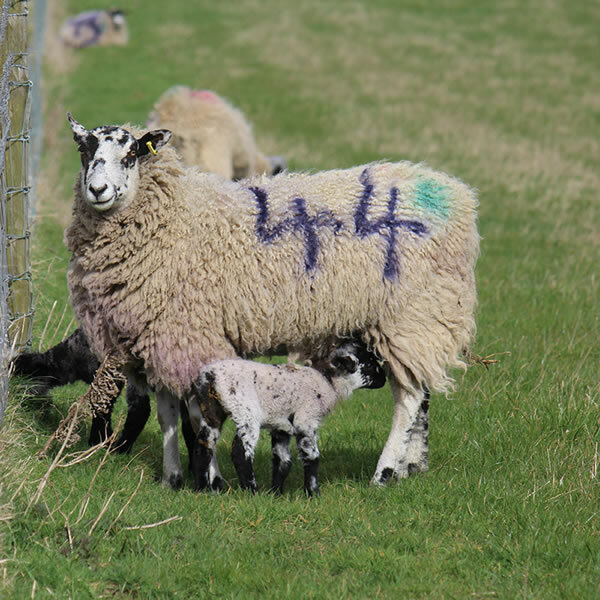 Possibly the most common problem is that the lambs may not have had enough colostrum that they get normally from milk produced by the female sheep in the first few days after birth, colostrum contains antibodies to protect the new-born against disease. If a lamb is orphaned immediately after birth then it may not have had enough colostrum to protect it from future illness. 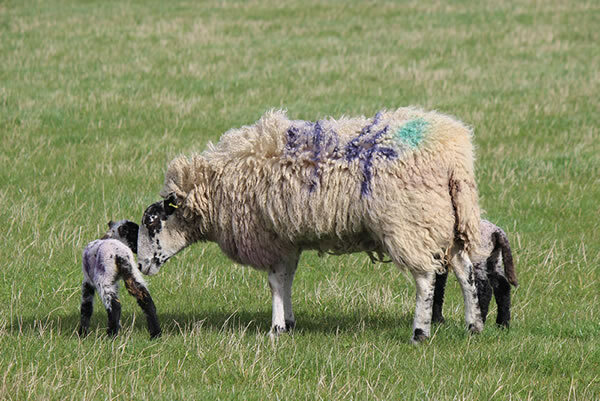 Ideally the farmer will have found another sheep that has just given birth and has extra milk available to give the orphan lambs at several feeds containing natural colostrum. If you have an orphan lamb on your own croft then it is very important that you make sure they get colostrum in the first 24 hrs after birth. Ask your vet for advice if in any doubt. What should I pay for an orphan lamb? Well ideally nothing, or possibly £5 an animal, yet many farmers are now asking for £15 or more for them. Personally I feel this is too much, yet few people appreciate what they get for nothing so maybe the farmers that charge this much have a point. If you do decide that you would like to raise orphan lambs, just remember that creatures you hand raise are harder (if not impossible) to send to market as you will often get too fond of them to let them go to market (which often means the butchers). If you are happy to have sheep as pets then go for it, they do make amazing companion animals. The other thing to point out is that you must have the correct dried milk feed and feeding bottles, a suitable place to keep the animals (a barn / large shed with plenty of straw, and protected from foxes and other predators). You will also need a commercial farm heat lamp to provide the lambs with an area that is warm. 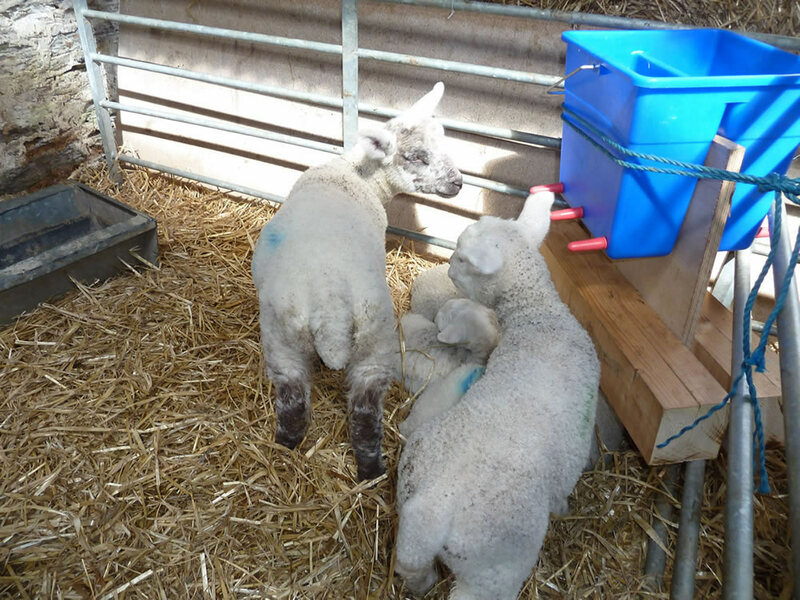 When using heat lamps make sure they are properly wired and linked to a an electrical connection with a safety trip switch, also keep the lamps high enough up that the lambs will not rub their heads against them and burn themselves (I have seen this happen). After you have all this in place, make sure you are available, or have someone reliable to help you feed the lambs regularly during the day and in the first few days / weeks, during the night, that is every 3 hrs. 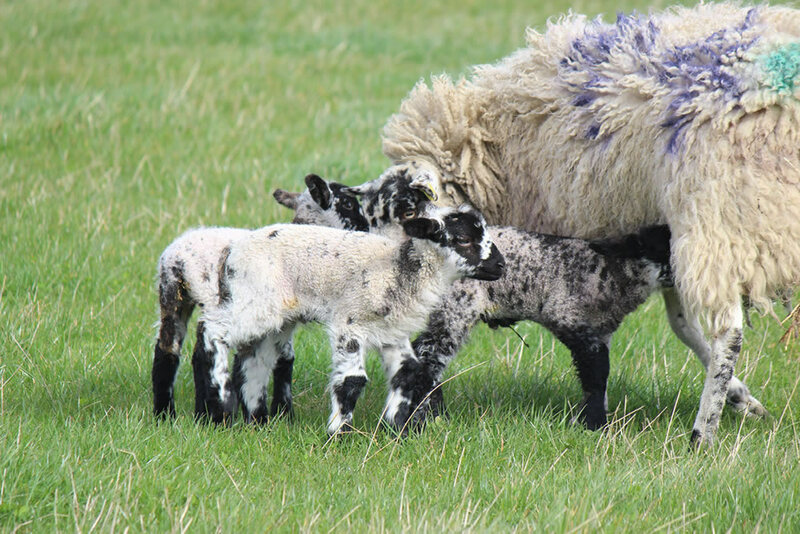 Sheep are like other farm livestock they need to be registered with the appropriate authorities, depending on where you live (Scotland, England, Wales, Norther Ireland etc) and permanent ear tags put on them when they are a few weeks old. 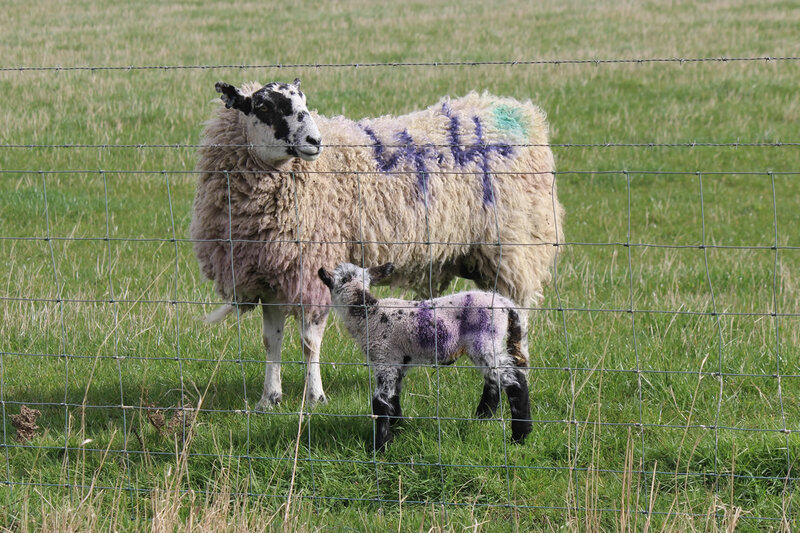 The animals do need to be easily identified before you put in the ear tags and most farmers do this by using a coloured spray to number the lambs as they are born. This identifies them to the mother, giving an identifiable breeding source and field where they were born. 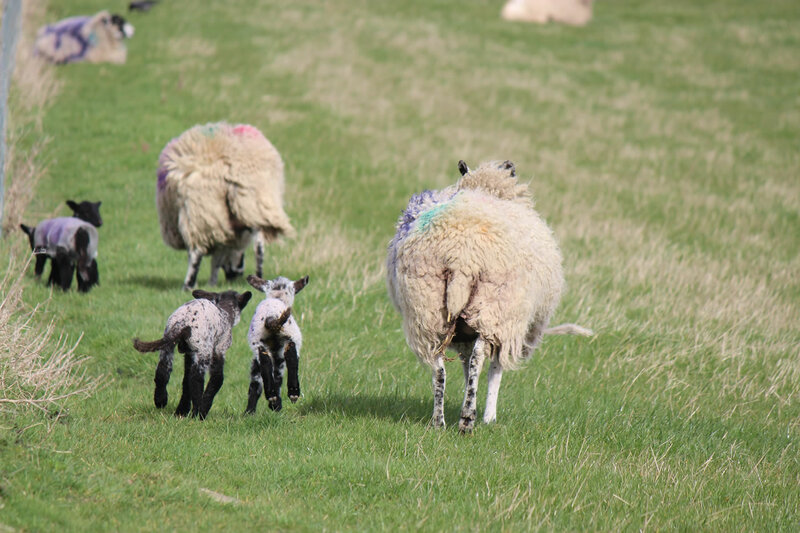 Even if lambs are going to be kept as pets, never to be used in the food chain, or sold, they still need to be registered with the agricultural authority and you can be fined a lot of money for not conforming to the legislation involved. It is always a delight to watch young lambs running and jumping about, enjoying life. 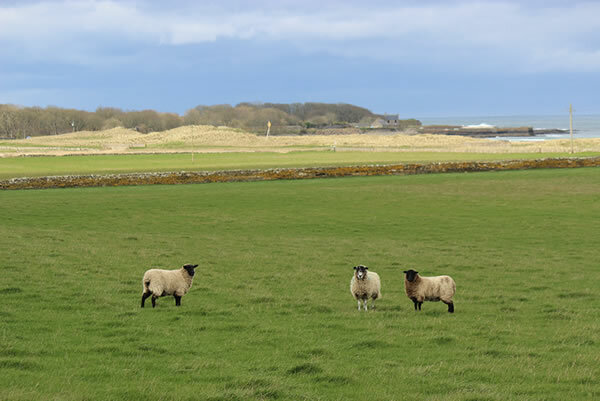 Sheep in a field in Caithness near Castletown harbour and Dunnet Beach. Sheep with lamb behind a good stock fence, keeping sheep in the field and off the road. Sheep with lambs, with their identifying numbers clearly shown. Sheep with young lambs with their protective jackets on to help keep the lambs warm. Sheep giving one of her lambs a gentle (affectionate) shove. 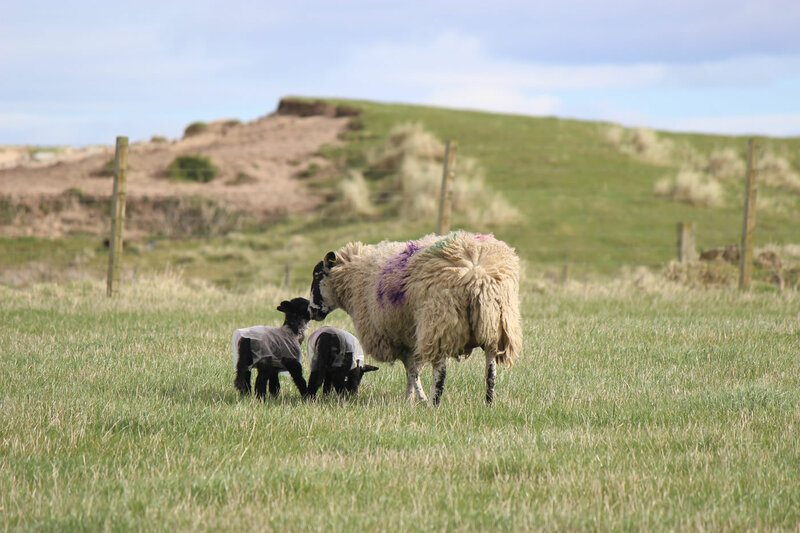 Lambs in a Caithness field near Dunnet, notice the sand dune in the background. Lambs in a Caithness field near Dunnet beach.